Amazon.com description: Product Description: Considered by many to be a landmark examination into the philosophy of education and its importance in a democratic society, John Dewey's "Democracy and Education" will find an appropriate audience among students of not only education, but philosophy and political science as well. 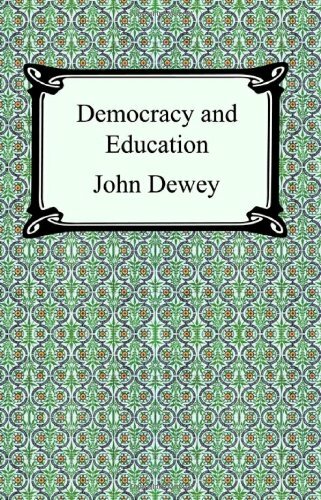 The premise of "Democracy and Education" rests upon the belief of John Dewey that an effective educational system was an essential necessity for building a productive and responsible democratic society. This argument is thoroughly explored throughout this landmark achievement in the philosophy and importance of education.